This book delivers an action packed conclusion to the End of Days series. I enjoyed so many elements, but I was especially fond of how Penryn comes into her own. I'm not a Raffe fan. Of all the angels he seems the best of a bad lot, but I like that Susan Ee never suggests he's good. I like that Susan Ee challenges humanity's "goodness" and our general sense of who/what has value. There are many characters who are necessary to Penryn's success who hold some measure of evil in them and if forces a reader to decide what they accept in their own life. This is my favorite series I read this year and I hope to read more books with this complex complacent shaking darkness. 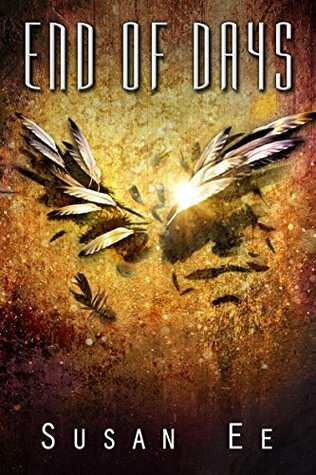 Sign into Goodreads to see if any of your friends have read End of Days.